Grand Seiko goes to the deep. Excellent build quality rivalling the best in the industry. The subject of our focus today is the first professional diver’s watch to carry the Grand Seiko brand name, the SBGH257. 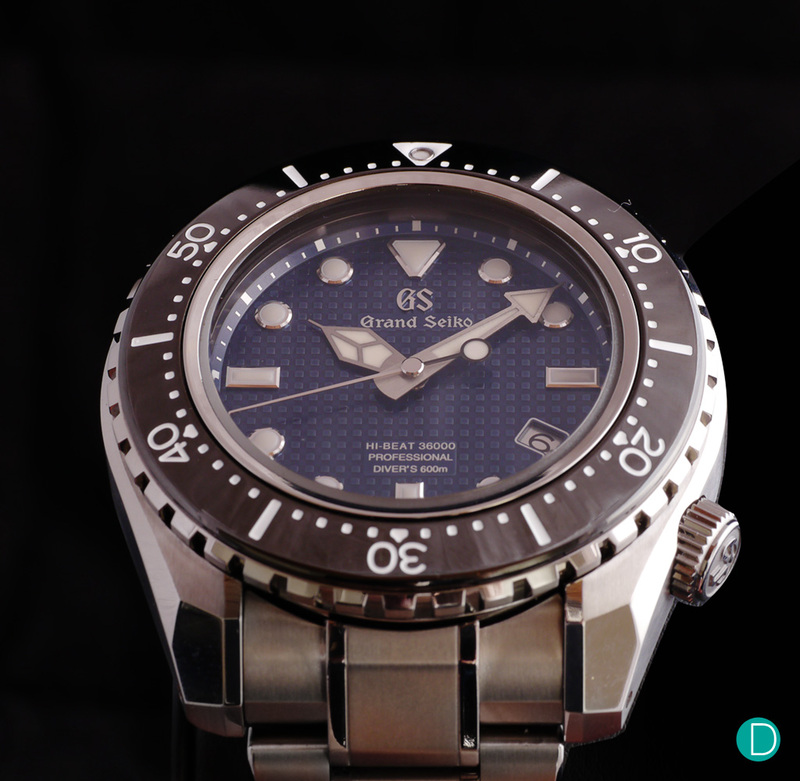 Earlier Grand Seiko Diver’s watches are primarily aimed at recreational divers, and have been quite a success. With this new release, in titanium and a hi-beat movement, it is one of the launch products to celebrate the independence of Grand Seiko as a brand. We take a deep look. We covered the coming out of Grand Seiko as a brand-name on its own standing apart from being a collection within the Seiko umbrella earlier this year as part of our Baselworld articles. Several watches carried the launch flag, among them the rather fabulous re-creation and modern interpretation of the first Grand Seikos as seen in the SGBW251, the SBGW252, the SBGW253 and also the SBGW305. A Black Ceramic collection with the Spring Drive Chronograph was also at the launch package. We will cover this in a detailed review soon. And for this article, a in-depth (pun intended) review of the Hi-Beat Diver. 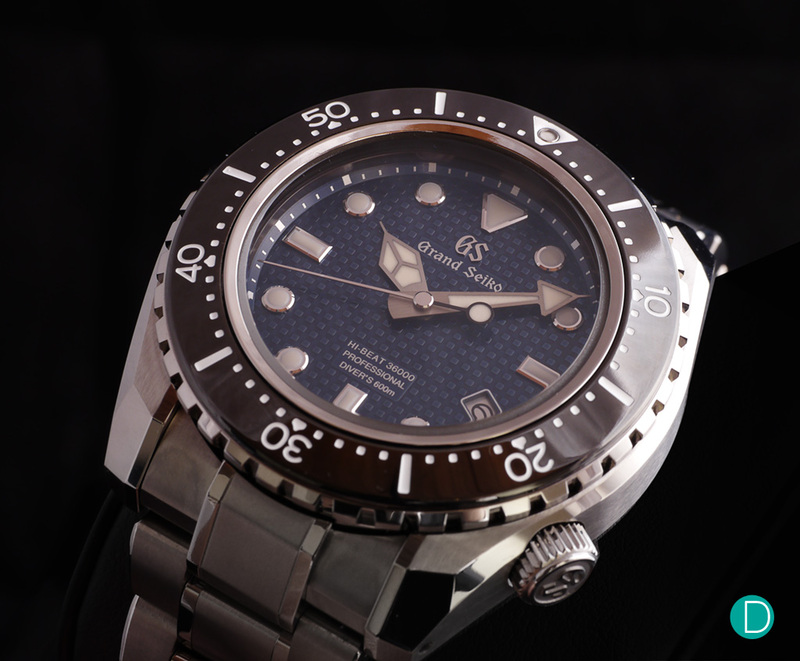 The Grand Seiko Hi-Beat 36000 Professional 600m Diver’s Limited Edition SBGH257. We begin a brief discussion on Seiko and dive watches. 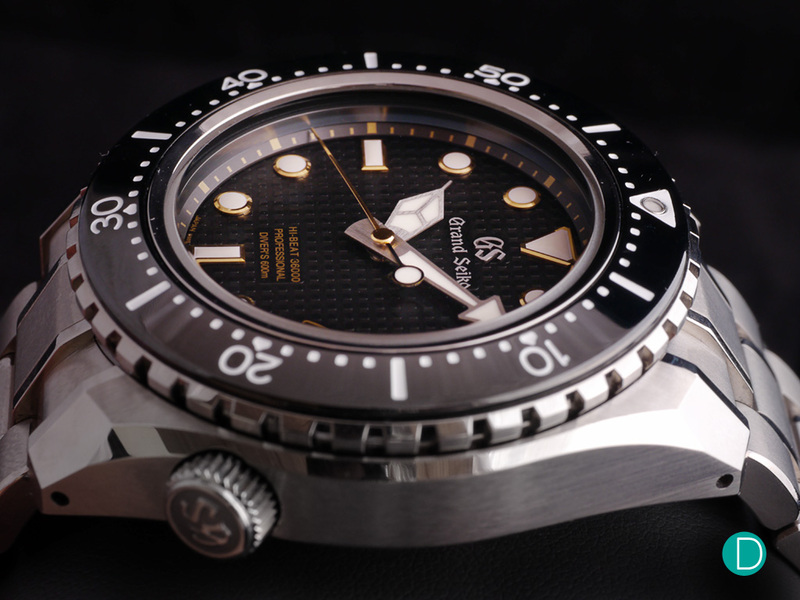 Seiko’s affiliation with diving began with the 62MAS, which we discussed in detail together with a review of the 2017 re-creation (the SLA017) here. In that review, we explored the origins of the Seiko 62MAS (autoMAtic Selfdater) which was first ever diver’s watch from Seiko, and was introduced in 1965. It was designed for reliability and legibility under harsh conditions and was used by the Japanese Antarctic Research Expedition from 1966 to 1969. The watch’s significance is far from just meeting the stringent standards set by the Expedition, but it was hugely popular in the leisure diving community and even with a wider public and set Seiko on the path of being the supremo in diving watches. And from there stemmed a whole universe of Seiko diver watches, ranging from the inexpensive and unpretentious like the Seiko PADI SRPA21, to the top of the line watch we have on our hands now. The SBGH257 and its unlimited brother the SBGH255 (not reviewed) are the very first two watches to bear the Grand Seiko nomenclature, to signify superior workmanship and finishing. The Grand Seiko Hi-Beat Diver is housed in a massive titanium case, measuring some 46.9mm in diameter and 17.0mm in height. This is a huge case, even by the standards of most dive watches, which tend to be a bit larger than the norm. The case is a massive 46.9mm diameter and a height of 17mm. Made in what Grand Seiko calls high-intensity titanium with their signature Zaratsu polishing. The dial is a study of legibility. The markers are huge with a large surface for the luminous material. The hands are also very large and clear. The seconds hand is long, slender and marked with a lollipop as a counter balance which increases legibility. The dial is made of iron, and unusual material for a watch dial, but is used because it is part of the iron core to protect the movement against magnetism. The dial is textured with raised squares, forming a pattern, and in the SGGH255, it is a beautiful pastel dark blue. The sapphire glass has anti-reflection on the inside. The lume shot of the Hi-Beat. The green hue glows quietly in the dark, and provides sufficient light to light up the dial sufficiently to show the GS logo. The lume is equally impressive, and is a requirement in the depths of the ocean where light falls off rapidly as one descends from the surface. The zone between 200m and 1,000m is usually referred to as the “twilight” zone, but is officially known as the dysphotic zone. In this zone, the intensity of light rapidly dissipates as depth increases. Such a miniscule amount of light penetrates beyond a depth of 200 meters that photosynthesis is no longer possible. Beyond 1,000m, it is pitch black, but that is beyond the scope of this watch as it is rated to 600m. The bezel is unidirectional and the grooves on the rotating bezel are extended for a secure grip even with thick gloves. The bracelet features a sliding extension setting to accommodate pressure changes. The crown is also large, grooved for good grip, and is located at 4 o’clock. Twice as hard as regular titanium. The Vickers index for High Intensity Titanium is 250. Colour is brighter than regular titanium. We received this information post publication, and this section was edited on 18 August 2017 to reflect this new information. The finishing on the titanium case is what Seiko calls zaratsu. Zaratsu (or blade) polishing is a technique developed by Seiko using the method for creating an ultra smooth, distortion free mirror surface like those found on the samurai sword (katana). 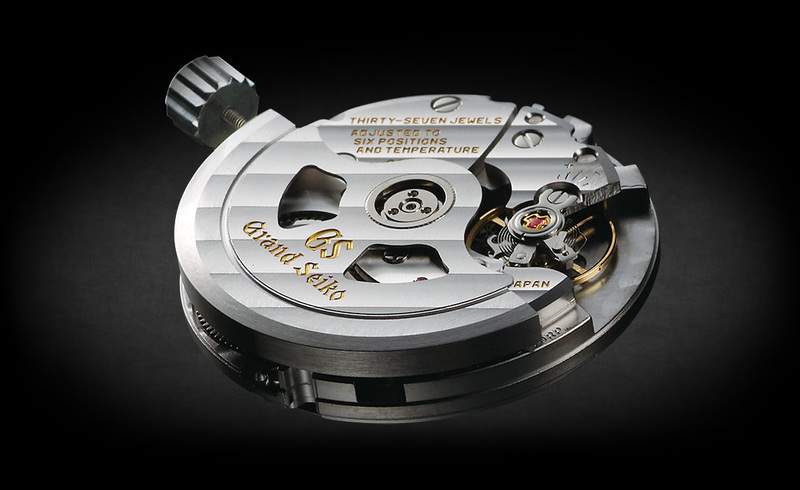 This finish is first implemented by Grand Seiko in the 1960s and is still practiced today. We understand that all Grand Seiko watches feature this zaratsu finish, though not exclusively. The technique is very skill and labour intensive. And hence very expensive to produce. The zaratsu polish can only be done by hand, as each facet or surface may get a different treatment so as to reflect light in as interesting a manner as the artisan sees fit. The level of finish is similar in difficulty and skill, but not the same and perhaps requiring a higher level of skill, as what is commonly called black polish found in haute horlogerie components. This is where the polish is so good that the flat surface essentially becomes a mirror, and reflects light only at one angle, appearing black in others. Grand Seiko applies this to the case, which has curved sides and facets. This kind of application is not been seen in Swiss or German manufactures. Some parts of the case have a final brushed finish. And this is applied by hand after the entire case is polished using the zaratsu technique. The artisan uses his own vision, touch as well as feel to gauge how much material to remove with the brushing in every case. The result is a beautiful finish like no other. Designed for saturation diving, the case features a special valve-free helium resistance ssytem invented by Seiko in the form of a heavy dury construction and an L-shaped gasket. As the case is designed for saturation diving, there will need to be a way to provide the helium gas to escape. The classical solution implemented by the likes of Rolex and Omega uses an escape valve. In the GS Hi-Beat, this is done by a valve-free helium escape system using only heavy duty construction and an L-shaped gasket which keeps the helium out. We described it, with a photograph of the L-shaped gasket in our review of the Seiko Marinemaster Professional 100m Diver here. Seiko did not release further information on how this is done, presumably a trade secret. But this results in a case which is smooth and not marred by an automatic escape valve, or a manual one in the form of another crown. The overall feel of the watch is rather lightweight, as it weighs in at only about 174 grams. The Caliber 9S85 is the high end workhorse automatic movement in the Seiko 9S mechanical series. The movement is made using high technology MEMS (Micro Electro Mechanical System) technology which borrows heavily from the semi-conductor manufacturing. The entire movement is developed and manufactured in-house in Seiko. The escape wheel and pallet fork used in Caliber 9S85 are made to a precision of one ten thousandth of a millimeter. The technology allows these critical components to be lighter, smoother and, in the case of the escape wheel of a more intricate design. The new design of the escape wheel feature oil reservoirs at the end of each gear tooth, improving the retention of oil, on which the smooth working of the gear depends. The 9S85 also feature a new alloy Spron 530 which is used for the mainspring. It delivers about 6% more power than its predecessor and a power reserve of five more hours while maintaining the same degree of corrosion resistance, durability, and magnetic resistance. In its use in the Hi-Beat Diver, the 9S85 serves as a rugged heart, and powers on with a Seiko patented hairspring made of a new allow called Spron 610, which claims to be more impact resistance and magnetic resistance. The movement is rated at 16,000 A/m. To qualify for the label Amagnetic on a watch, the minimum specification is 4,800 A/m, so the Hi-Beat Diver handily beats the minimum specification. As it is a high beat movement, the 9S85’s balance beats at 36,000 bph, and retains a power autonomy of 55 hours. The 9S65 is regulated to +5/-3s a day and adjusted to six positions and temperature. The Grand Seiko 9S85 is a beautiful movement which remains unseen in the Hi-Beat Diver, but is finished quite beautifully. The movement finishing is quite beautiful though the solid case back means that the finishing remains hidden from normal view. Though perhaps not at the same level as the Grand Seiko SBGD001, which we judged to be outstanding, but the level of finishing on the GS 9S65 is quite good for a series production movement. All the traditional finnisage elements are handled very well. Anglage, counter sinks polished, Tokyo strikes (Côtes de Genève) are magnificently executed. Rolex Submariner Ref. 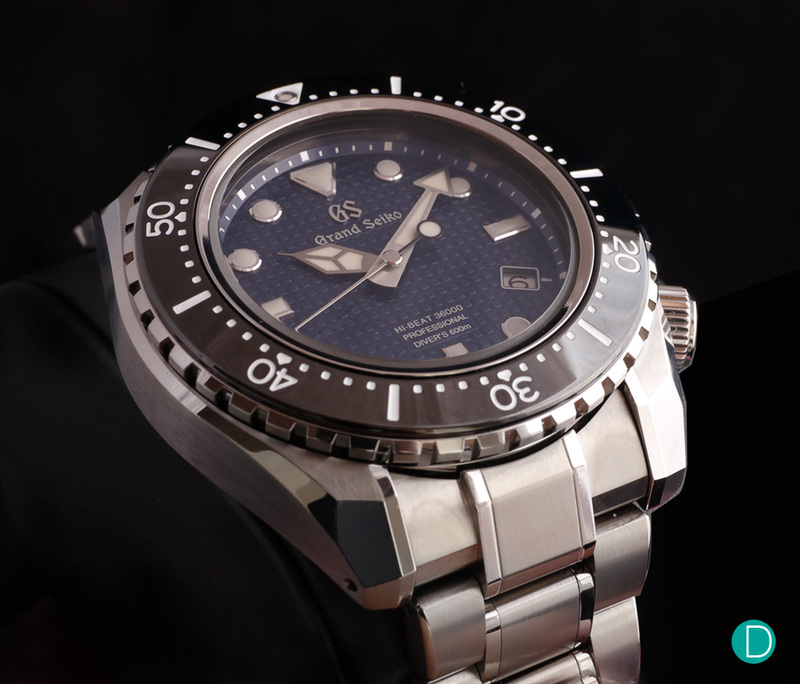 116610 (S$11,440) and the Sea Dweller Ref 126600 (S$15,250 incl GST) is perhaps the most famous of dive watches. It comes with an illustrious and great history with an enormous legacy. Depth rating is 300m on the Submariner and 1200m on the Sea Dweller. The Submariner is housed in a stainless steel case of 40mm in diameter and the latest Sea Dweller (review forthcoming soon!) in a 43mm case. Rolex does not specify any antimagnetic rating for either of these watches. But both are rated to Rolex Certified Chronometer rating of +/-2s a day and comes with a 5 year warranty. Omega Seamaster Ploprof 1200 (about S$16,300, full review on these pages soon) is rated to 1200m water resistance in a Grade 5 titanium watch with a bidirectional bezel, helium valve and the Omega Co-Axial escapement. The anti-magnetic properties of the Proplof is rated to 15,000 Gauss, which is equivalent to about 1.2 mil A/m. However, the case is even larger at 55mm x 48mm. Blancpain Fifty Fathoms Milspec (S$19,500 with GST) is in a stainless steel case measuring only 40mm in diameter and rated to 300m depth. There is no stated anti-magnetic rating for the Blancpain, and as the watch has an open cased back, it is likely that it is not so rated, although the silicon hairspring in the balance may bless it with some anti-magnetic properties. The Blancpain claim to fame is the use of a moisture detection system embedded on the dial. And of course, as a watch from the heritage of Blancpain, the finishing is very good on both the outside as well as the movement. Panerai Luminor Submersible (S$14,600 with GST). Also crafted in a size 47mm titanium case, the Submersible carries an inhouse Panerai P.9001 Automatic calibre with a power autonomy of 3 days. The watch is also an exploration tool, and hence is also equipped with a second timezone hand. Depth rating is however, only 300m. We think the Grand Seiko Hi-Beat 36000 Professional 600m Diver SBGH257 is a very well thought out diver watch designed for the luxury professional diver market…if there is such a market. It is built to be rugged, and even serviceability is thought through in the design. 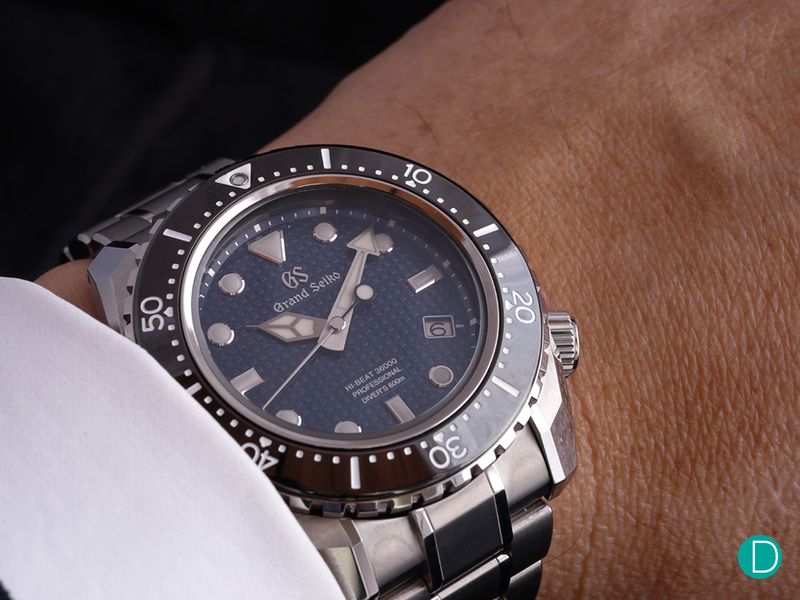 But truth be told, the SBGH257 is more likely to be worn as a sporty tool watch than for deep sea diving. The watch is finished to high end standards of traditional haute horologerie. The movement is robust and beautifully executed. And we must say we rather like the aesthetics. So we say, welcome to the high end, Grand Seiko. And Domo arigato (どうもありがとう) for this beautiful Diver’s watch. As massive as it is, measuring nearly 48mm by 17mm, it still sits pretty well on the author’s wrist. Even managing to slip under his shirt cuffs. The blue hue of the dial is rather attractive, and in our books this is worth the €200 premium over black dial on the SBGH255. Price: €12,300 (almost S$19,600 converted) Limited edition 500 pieces. The non-limited edition is called the SBGH255 and features a black dial with gold outlined markers and hands. This version is retailed at a slightly lower €12,100. Edited at 10;30pm 16 August 2017 for typos and to improve clarity.